The word ‘Prana’ means life’s energy. Pranic Healing is a highly evolved and tested non touch complementary therapy. It may help with awide range of physical and psychological ailments. The system may be used to enhance any area of your life. It is highly systematic and scientific in its approach, which distinguishes it from other healing therapies. Pranic Healing is a simple yet powerful and effective system that works on the principle that the body is a self healing organism. We all live busy lives and a condition or ailment can arrive through certain patterns, lifestyles and psychological changes. By using specific techniques for those ailments or conditions the pattern can be reversed and the body is a able to heal itself. It is an incredible technological breakthrough in the science of healing. 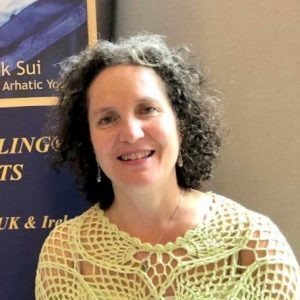 Many professionals including the medical profession, psychologists, therapists, families and business professionals are utilising Pranic Healing alongside orthodox medicine to help enhance every area of their lives. I experienced my first Pranic Healing treatment at an Introductory Evening. The healing I experienced was incredible that felt like a weight had been lifted from me that I had been carrying for many years. This new sense of freedom enabled me to view life differently and amazingly some long term physical problems ebbed away. I was absolutely blown away by the experience and was keen to pursue the teachings to become a Pranic Healer myself. 6 years later I am proud to offer my services to others. Through healing clinics, 1-2-1 treatments, and Guided Meditation classes for adults and children I have been able to help and support many people with various physical and psychological problems.